Jock Landale led Partizan to a home win over Buducnost tying with them at the ABA League standings but also grabbing the tiebreak advantage. 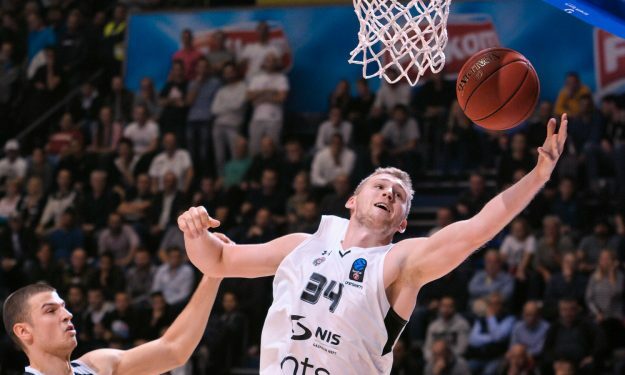 Jock Landale put on a great performance and led Partizan to an important 76-67 home win against Buducnost on Day 19 of ABA League. Landale banked game-high 23 points followed by Nikola Jankovic’s 12 while Alex Renfroe notched a double-double with ten points and 11 assists. For Buducnost, Edwin Jackson scored 19 in addition to Norris Cole’s 14 and Earl Clark‘s 12 points. Partizan improved to 13-6 and is now tied with Buducnost but has the tiebreaker advantage. Cedevita with 14-5 and Zvezda with 18-1 are in front of them with three Gamedays left to go in regular season.